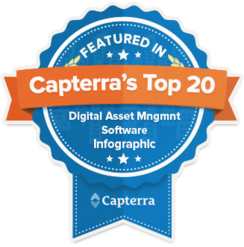 The hyper Content & Digital Asset Management Server is listed as High Performer in the Digital Asset Management Software Category on G2Crowd. The online demo gives you a first impression of the new release. Having the proper Content Management solution that expands itself and integrates other networks and channels is key to success. Easily integrate social media networks like Facebook, YouTube and Twitter into your content strategy. 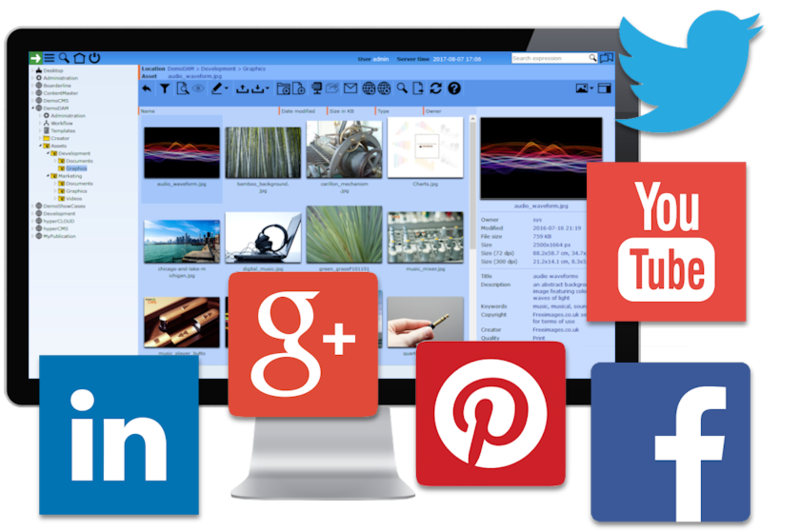 Publish your centrally managed content by a single click to all your social media networks. Integrate your personal Dropbox account to exchange assets. Manage content from a central point and distribute to all channels and in all languages. 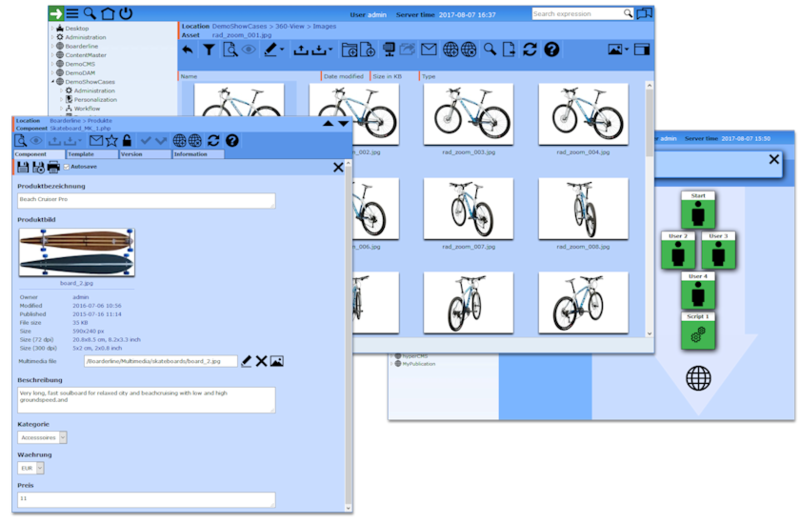 Collaborate in teams with integrated workflow and task management. Present information in the right context through personalization. Integrate content in applications and according to your compliance. 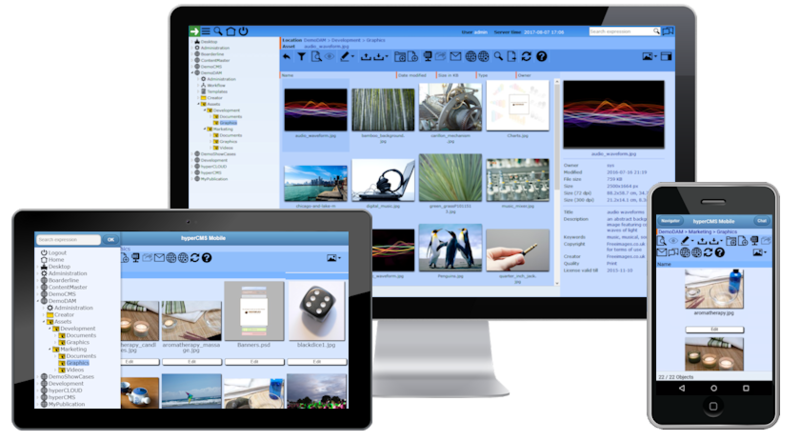 Enterprise wide Digital Asset Management made easy. 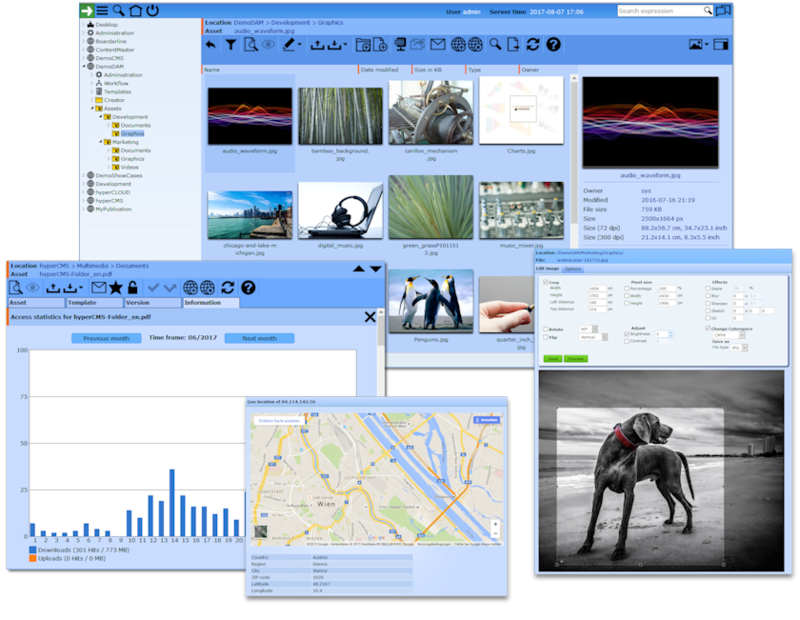 Manage and distribute media assets in the most flexible and fastest way. Keep control over license information and user access. Manage videos, create and publish streaming videos for the web. 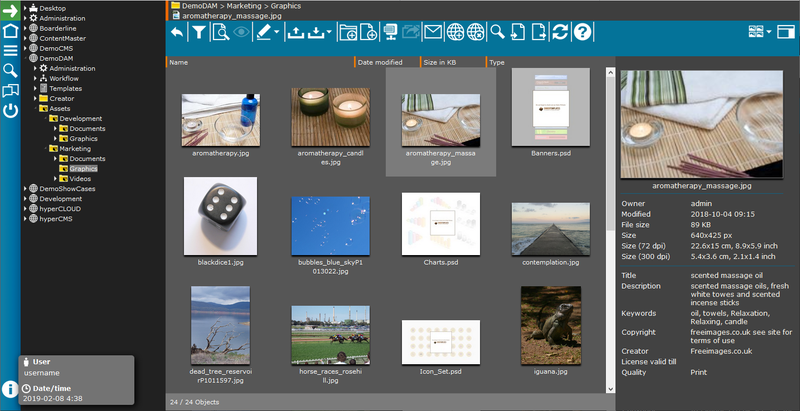 Publish and integrate media assets into web sites. 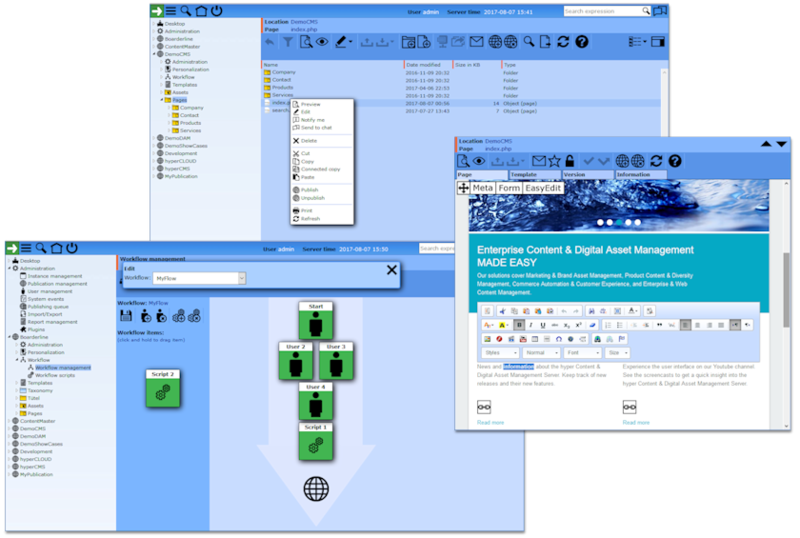 Enterprise wide Content & Digital Asset Management goes mobile. Our products are supporting all mobile devices, from smart phones to tablets. Users have access to all their Content & Digital Assets wherever they are. For more than 10 years, we are working together with companies by supporting them to reach their business targets faster and more efficient with our Content and Digital Asset Management solutions. Our solutions cover Marketing & Brand Asset Management, Product Content & Diversity Management, Commerce Automation & Customer Experience, and Enterprise & Web Content Management. 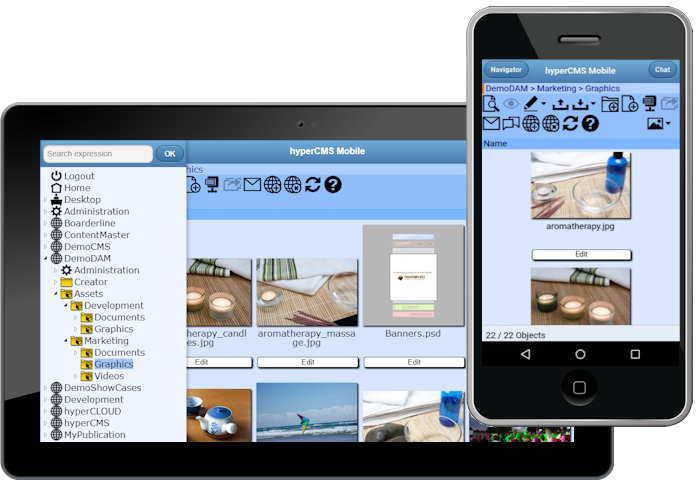 The Free Edition of the hyper Content & Digital Asset Management Server is available for everybody without any license fees. You can try and download the software right here. Have direct access to rich content by conveniently integrating it into the creative workflow of internal/external teams and programs like Adobe CS, MS Office and OpenOffice. Ensure process control with collaborative approval. Share the content directly on Social Media Networks, like Youtube, Facebook, Twitter, LinkedIn and so on. Create a fascinating experience for your visitors and customers in websites or web shops with a single tag instead of complex coding. 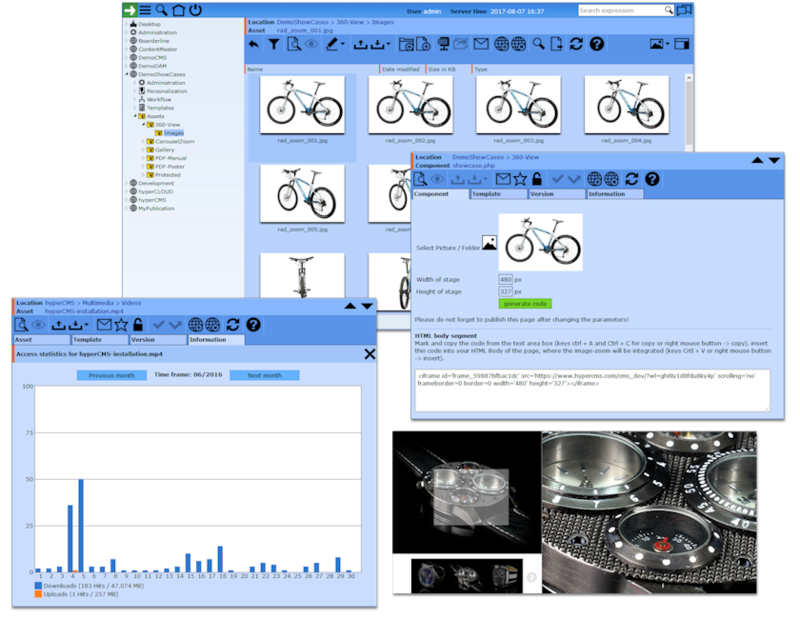 Exploring your products with our viewers (gallery, zoom, rotation) was never easier. Let our solution take care of all content presentation related processes. Markets, brands, products, projects and their diversity makes it difficult to manage all related content. We are able to provide a unique content organization solution. The organization, access rights control and metadata management have never been easier. Edit the content of your sites easily, thanks to EasyEdit or by request in form view. Integrate content by copy & paste from various document formats. Activate the inheritance for multiple use of design and/or content and to provide all of your websites and applications centrally without any additional effort.